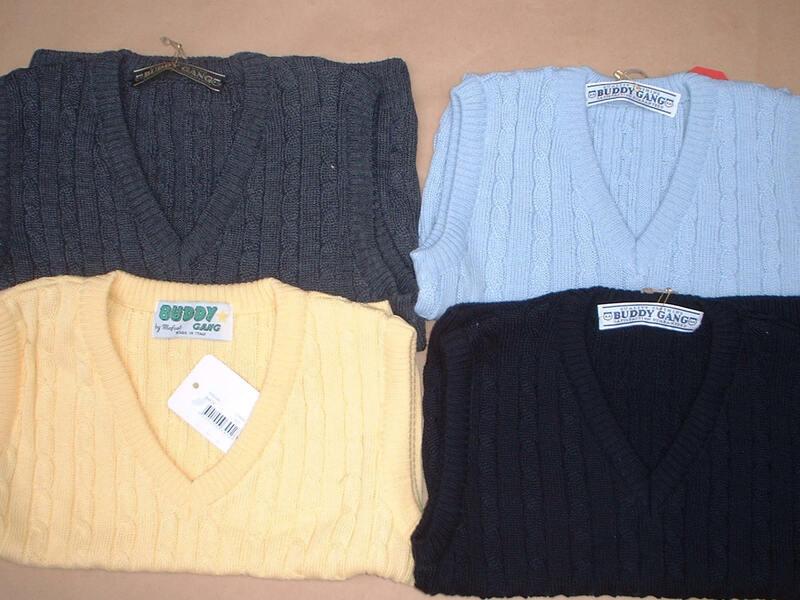 These are fantastic boys or unisex knit vests. They are made in Italy of 80% wool and 20% polyester and are priced from $39 to $48 depending on size. Colors include navy blue, light blue, gray, and yellow. Please phone for details and orders.